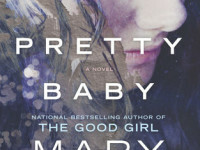 Move over, Jodi Picoult, a new author that tackles difficult social subjects is in town. 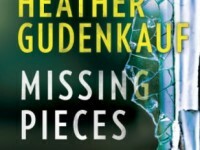 Once again, Heather Gudenkauf has written a book that is impossible to put down and addresses some of the most gut-wrenching scenarios a parent can face. I shouldn’t be too surprised because I loved her previous books that also tackled difficult subjects, especially The Weight of Silence, but Little Mercies may be her best book yet. Little Mercies is a story about parents, families, and the tenuous ties between them. The dual-narrative story follows Ellen, a social worker, and Jenny, a precocious ten year old, both of whom are battling their inner demons and grappling with the hand they’ve been dealt in life. Although Ellen has saved countless families and children in her time as a social worker, a momentary lapse in judgment will put her life, career, and parental responsibilities at risk. Meanwhile, Jenny is growing up with a loving, but irresponsible, father, and is searching for answers about herself. Although their stories are distinctly different, it is their interconnectedness that give the book an unexpected depth and value to the story. What I loved about this book is that the characters were so real. Everyone, whether they are a parent or not, has had a lapse in judgment that resulted in consequences that spiraled out of control. This is especially true in today’s world of smartphones, Vines, and SnapChats. In Little Mercies, Gudenkauf translates the feelings from those gut-wrenching experiences to the pages in a way that will evoke an actual, physical reaction from the reader. In the few hours it took me to read Little Mercies from cover to cover, I was anxious for Ellen, fearful for her children, and concerned for Jenny. I also became angry at injustices, saddened by tragedies, and comforted by certain relationships. In short, this book took me on an emotional roller coaster, and while it wasn’t all roses and sunshine, I loved every minute of it. If you’re looking for a compelling story that you can read in a relatively short amount of time, I highly recommend Little Mercies. Gudenkauf manages to approach an emotional and difficult topic with a sensitivity and care that places her at the top of her game and you would be remiss to skip this one. 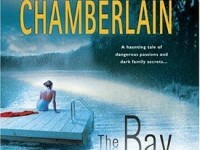 What is the most emotionally-charged novel you’ve read recently?